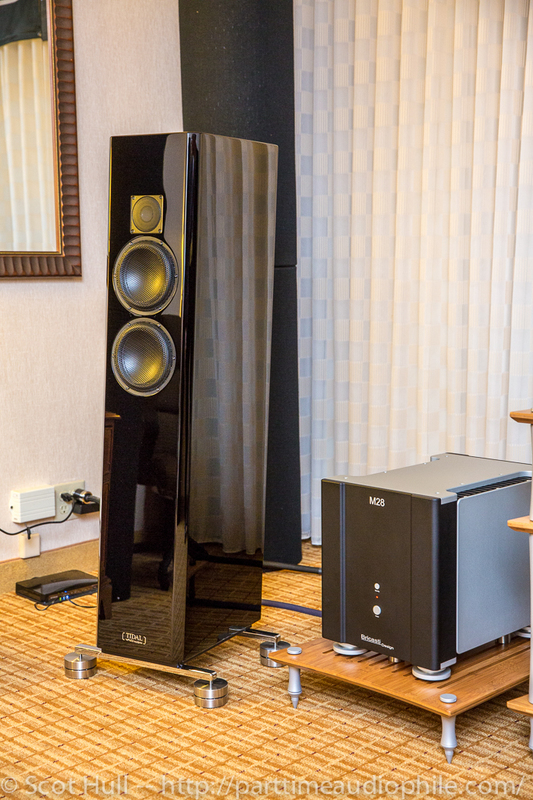 If you follow The Audio Traveler, you’ll note that the Bricasti and TIDAL Audio system on display this year at RMAF mirrored the system that Scot had opportunity to hear at AXPONA earlier this year. So much the better, as far as I’m concerned; it’s not fair when Scot gets to have all the fun. 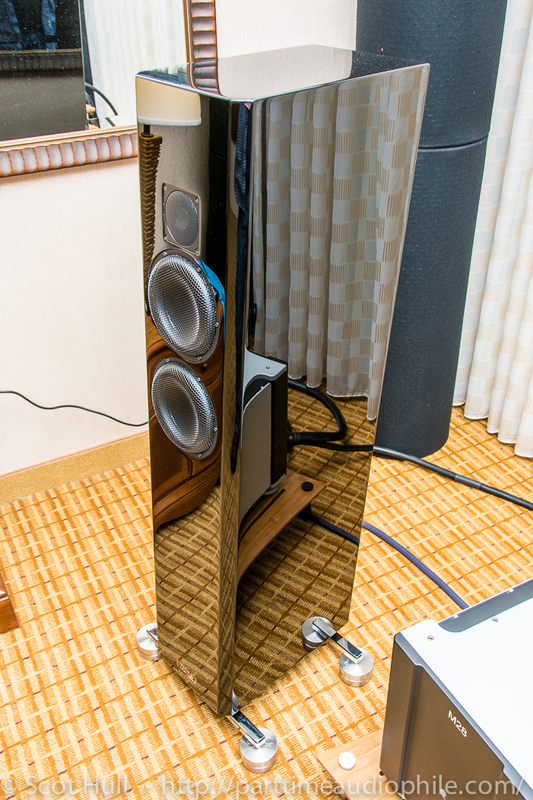 The speakers were the Piano Ceras from TIDAL Audio ($24,000); they feature ceramic drivers and the shiniest piano black cases you’re likely to see. 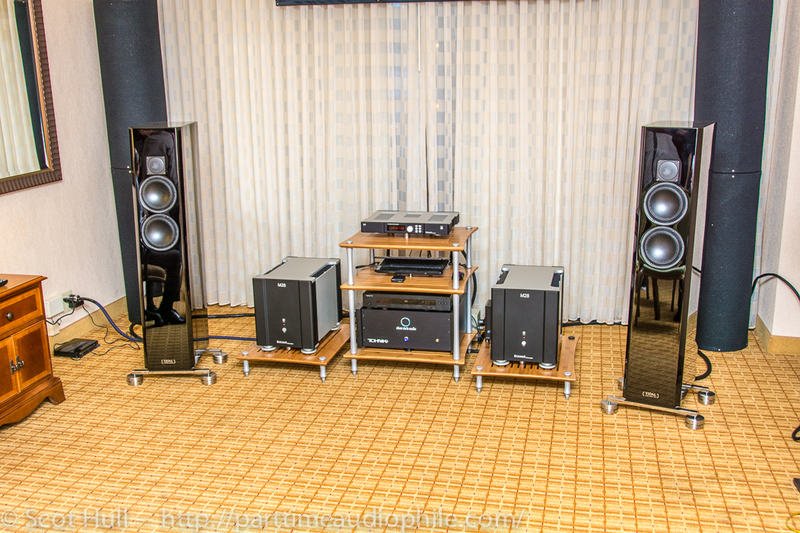 They also have this nifty ability referred to as “Variogain” that lets them be tuned to suit the room: they can run in true 2-way mode, linear 2.5-way mode, or 2.5-way mode with Gain A. 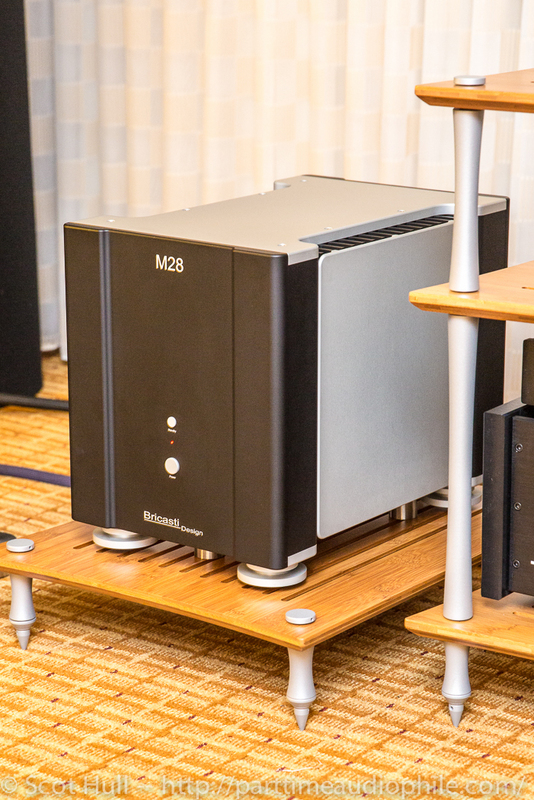 The amps were Bricasti’s newish M28 reference monoblocks ($30,000/pair), which have their own tweakability: pairing these amps with the Bricasti M1 DAC ($9,000) forms a balanced differential signal flow from source to speaker, and the M28 also offers 18 db of stepped attenuated gain adjustment. 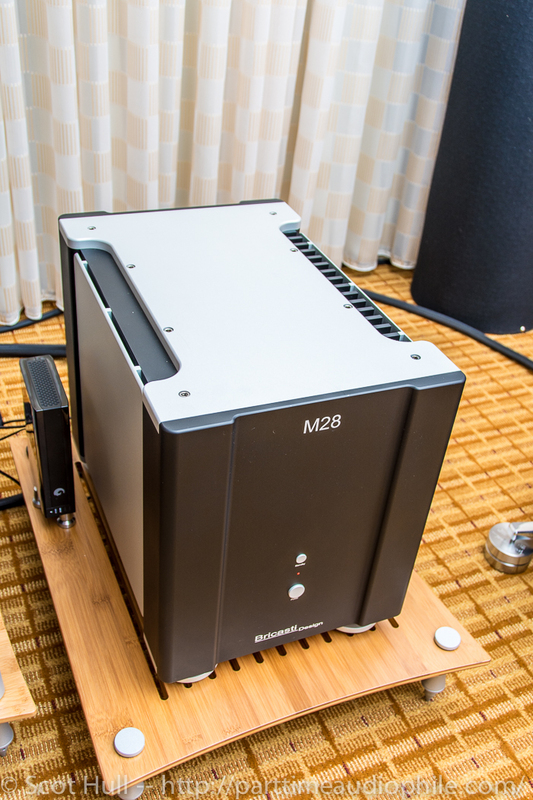 The amps and DAC were accompanied by a Silver Circle power conditioner ($10,000), an Oppo Digital CD player, and Luminst Revision cables by Purist Audio Design. I was able to take the time for a nice long demo, for once, and sit through a couple of tracks. The first was a PCM recording of a selection from one of Tchaikovsky’s orchestral works (my notes fail me as to which one; please forgive me). I found the percussion very realistic and impactful, and the treble was nice throughout. However, I thought there were some issues with the lower strings, which seemed a bit dull and smeary in comparison to the violins, and lacking in definition. Then, a second Tchaikovsky piece — a recording of the Romeo & Juliet Overture, this time in DSD — eliminated these perceived issues essentially entirely; the cruft was gone, and the sound was pure and precise. 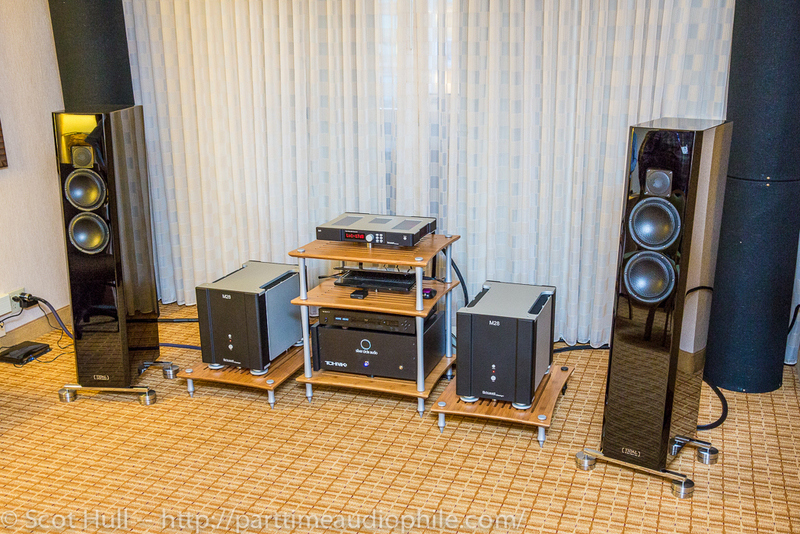 I don’t know if the folks running the room intended to give me an impromptu listen to the benefits of hi rez, but it was instructive — if only because it reminded me to check the quality of the recording before I make assumptions about the capabilities of a system! I was left to conclude that system would be an excellent choice for a power junkie who’s looking for a great deal of detail and speed. 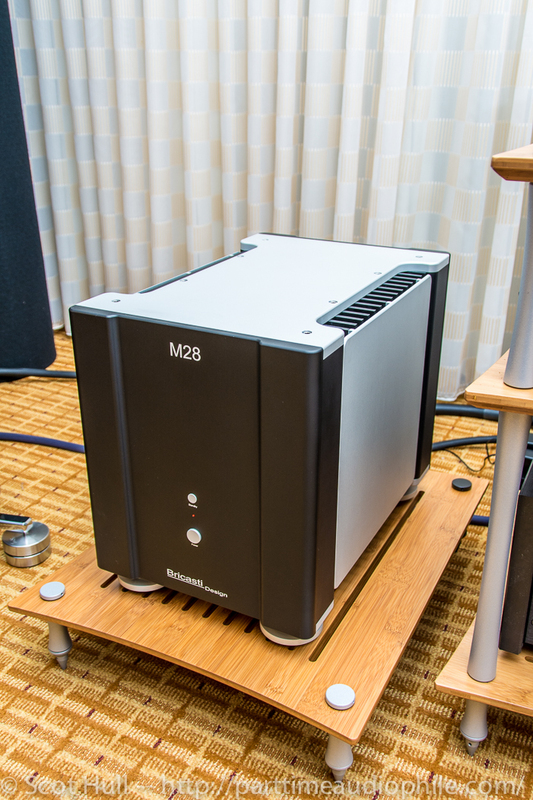 You listened to the second piece, in DSD, and it sounded much better. 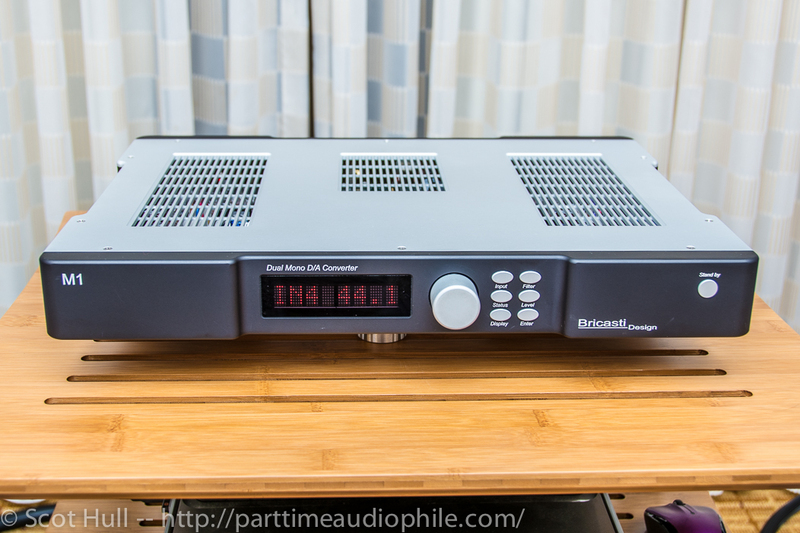 How did the signal get from the Oppo to the DAC? 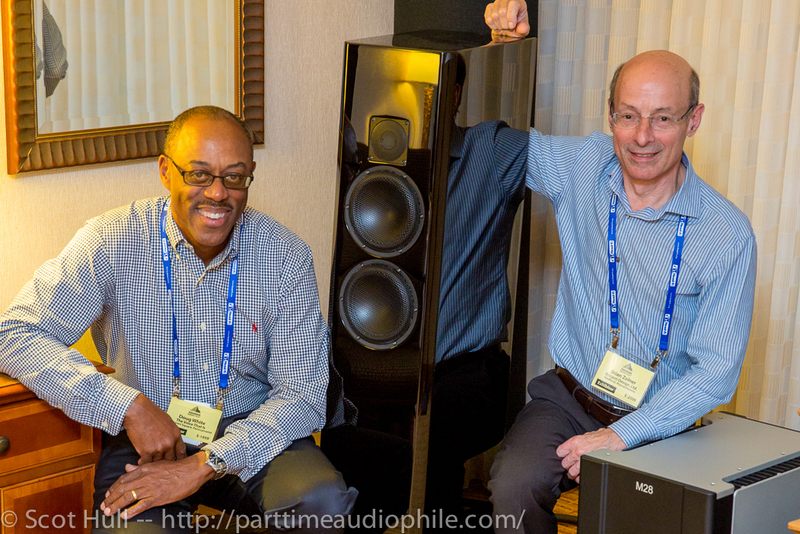 DSD does not give a digital out; was it converted first in the Oppo? 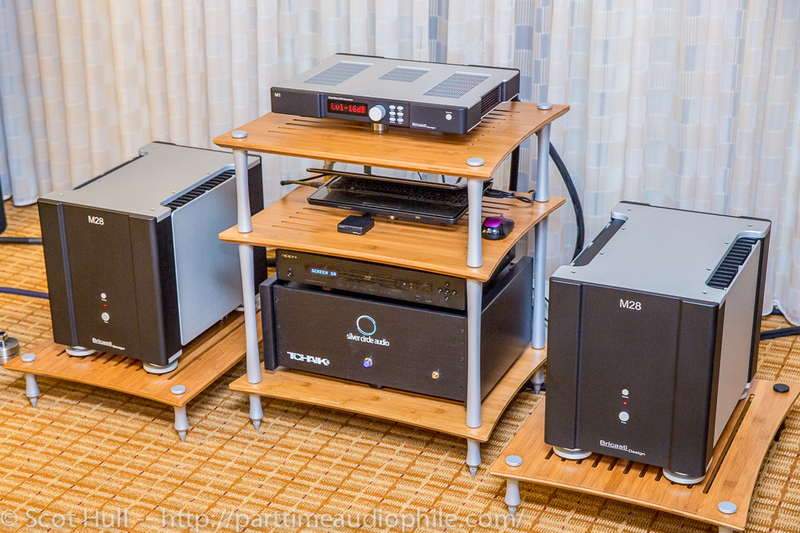 Hi Steve, sorry if it wasn’t clear — I neglected to mention the laptop that was streaming to the DAC (you can see it in the photo of the full rack). So the Oppo would not have been involved. thanks, now I understand! If you have a chance, how did you find streaming from the laptop in general versus the digital input from the Oppo? 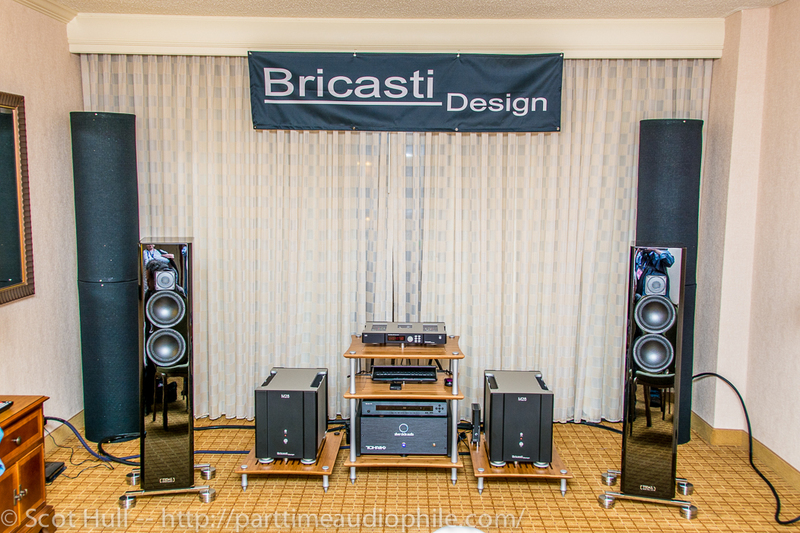 I have the Bricasti and use a transport, but am considering using a computer.